Prior to entering the field of international education, Sean worked in corporate law and international finance for a decade. Since his career change, Sean has held a variety of leadership positions in global internship program management, career development, employer relations, study abroad, and university relations. 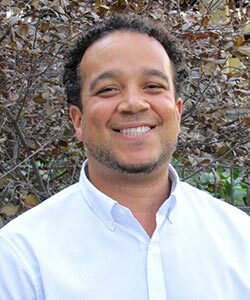 He is the former Site Director for EUSA and the Academic Internship Council in Boston, the former Director of Internship Programs & Client Relations at Intrax in New York City, and was most recently the Director of Institutional Relations for Dream Careers. Sean is a graduate of Connecticut College and studied abroad at Oxford University, New College during his junior year. He also completed a year of graduate studies in the Economic History of Asia, Africa, and Latin America at the London School of Economics. He’s a graduate of the Senior Leadership Executive Education Program in Non-Profit Management at Columbia Business School. Sean lives in the Boston area.